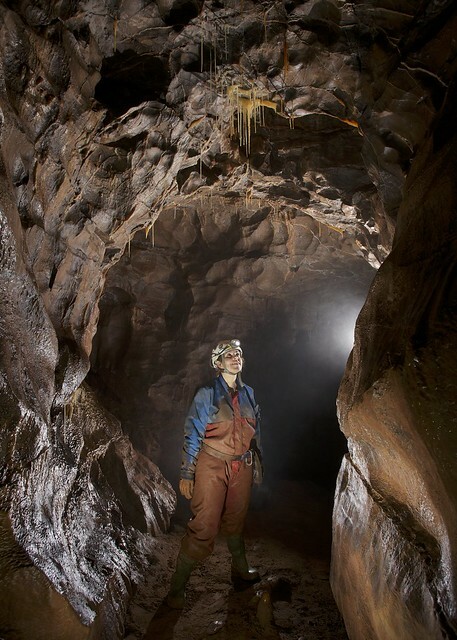 This trip was arranged for Josh, to give him a taster caving trip. I also had an ulterior motive. With a frozen shoulder I needed to see how badly it has affected my ability to go caving. Amy had recently contacted the club with a view to joining so even before I had met her, I asked if she would like to join us. 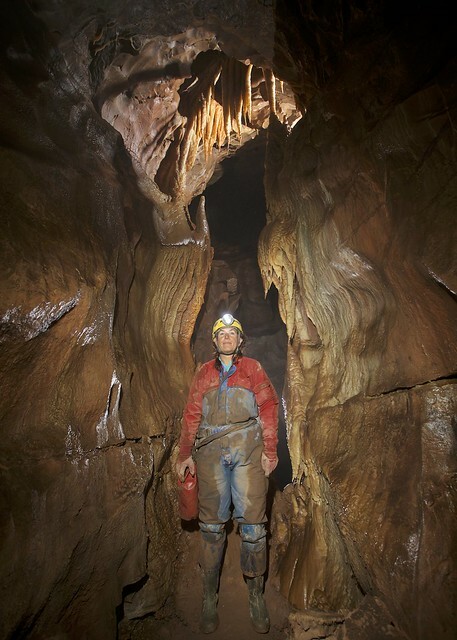 I selected the route which I believe gives new members a really good caving experience. The route was Big Chamber, Gnome Passage, Swamp Creek, Judge, Trident, Crossroads, top of Maypole Inlet, Cross Rift, Shatter Pillar,Selenite Tunnel, President's Leap, Crossroads, Salubrious Streamway and back out. Everyone seemed to enjoy the trip, especially Josh and Amy, so hopefully we will see both of them back at the windmill demanding more trips. Some video was taken using pre-positioned fixed lighting. It may appear on YouTube sometime in the future. And how did I get on with my frozen shoulder? It was the best physiotherapy I could have had. After the trip I had a lot more movement in my arm. Unfortunately it has stiffened up again now, so I'll just have to go caving again. Present: Josh Anstey, Pete Anstey, Jess Burkey, Mark Burkey, Keith Edwards, Andy Grimes and Amy Sawyer.